If you have any information or spot any inaccuracies, please don’t hesitate to contact me. Photo: I Lutton. Date: ? This area was first developed immediately after World War II, and the original street layout can be seen on the 1952 street map. 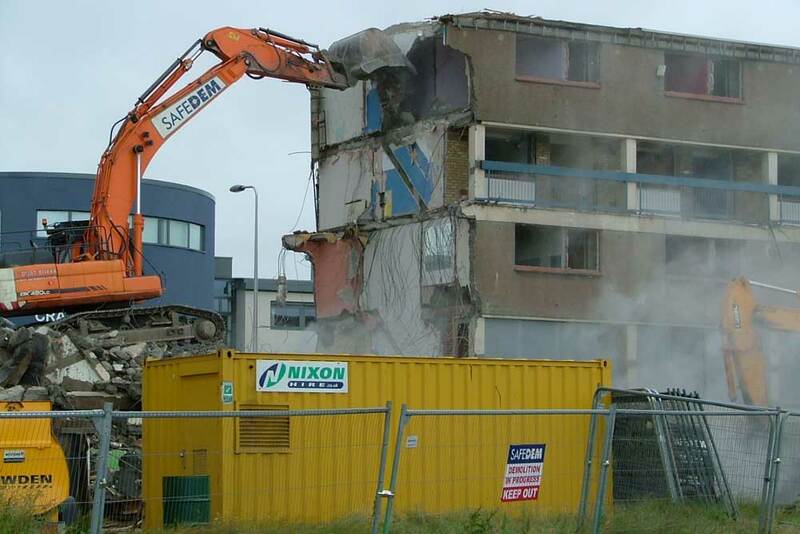 Prefabs were built, in other words prefabricated single-storey houses. The building trade was short of workers immediately after the war, many traditional building materials were in short supply and new homes were needed quickly to replace houses that had been bombed. The prefabs were manufactured in former aircraft factories, no longer needed after wartime, using aircraft materials such as aluminium. They were brought to site on lorries in three or four sections, and assembled. It is possible to make out the prefabs in this area by zooming in on the Air Photo Mosaics of Scotland photograph of the area, on the National Library of Scotland website. These photographs were taken using RAF aircraft and crews immediately after World War II, when they were no longer needed for military purposes. The area was later redeveloped in the 1960s and the pattern of streets was altered, as can be seen on the current street map. 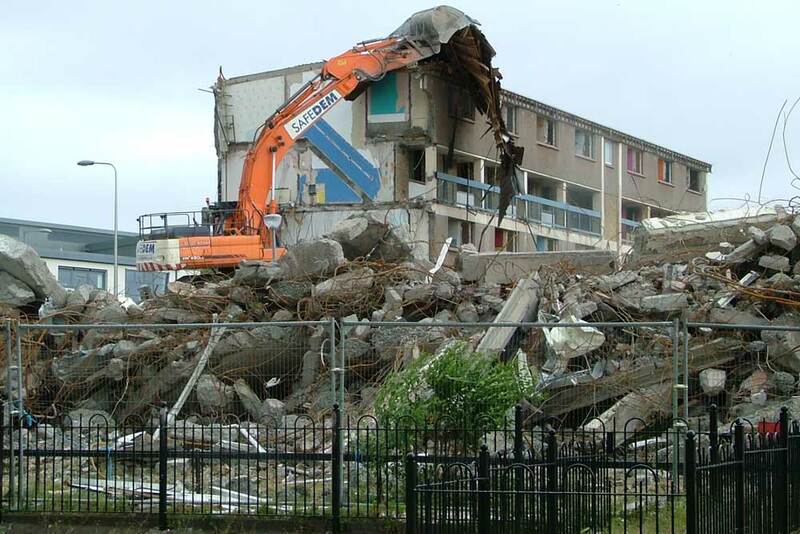 Some buildings at the north-east section of this area, on both sides of Pennywell Road near the Pennywell Road / Muirhouse Parkway roundabout, have been demolished, starting in 2007, and the present Craigroyston Community High School has been built on part of the site. There are various local stories about the source of the name, including one that a local farmer charged a penny to allow Shetland ponies that had been brought by boat to Granton Harbour to have a drink from his well. However a more reliable explanation is probably that the name comes from an old Scots word ‘penny’ meaning to feed, so the location was one where animals could be fed and watered. 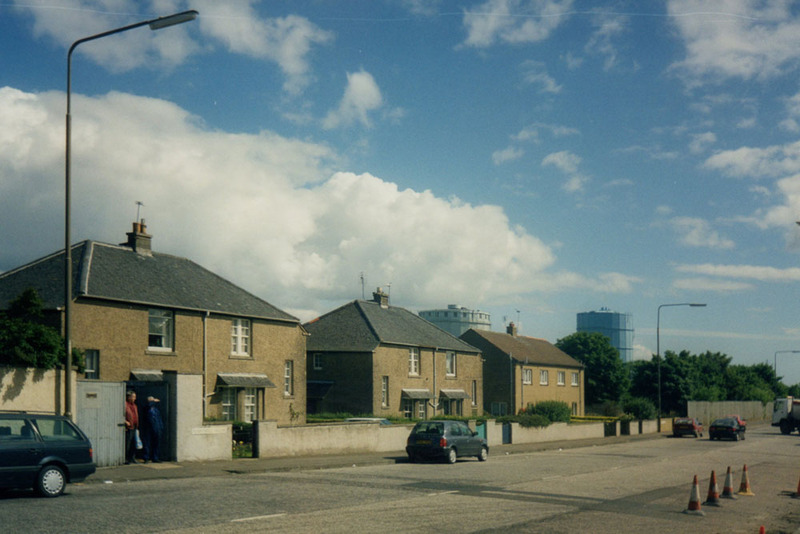 This address forms part of West Granton Road, immediately east of the roundabout at Pennywell Road. There have been cottages here for many years, well before most of the area was built up, and they can be seen on the 1896 OS map, where they are marked simply Pennywell. 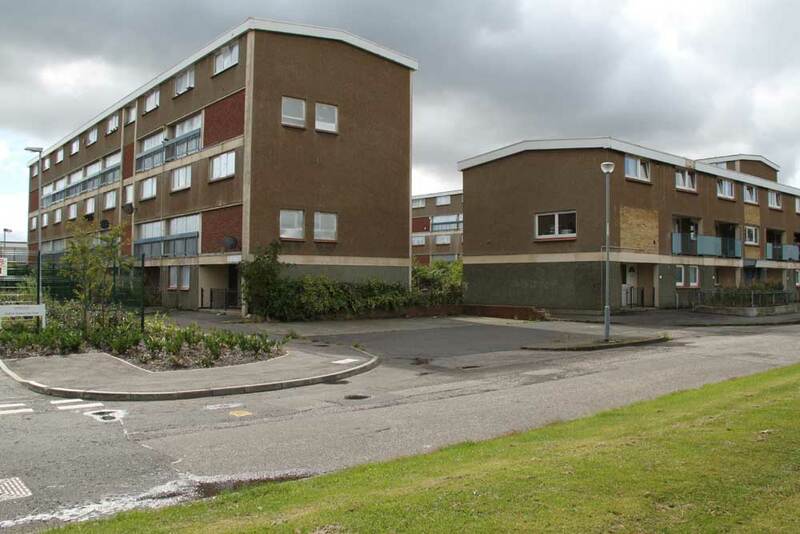 In 1962 a 23 storey block was built in Pennywell Gardens, and named Martello Court. 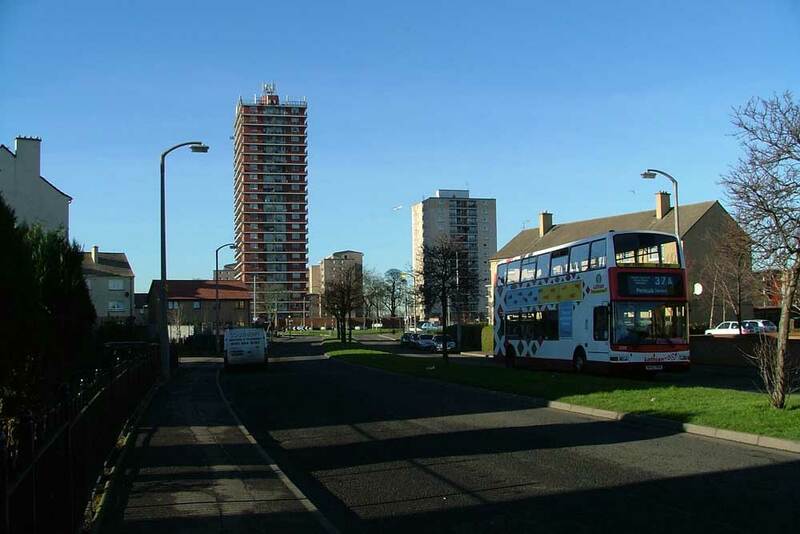 This is said to be the tallest block of multi-storey flats in Edinburgh. Following a problematic period it was sold into the private sector. There is more information and some photographs on the Royal Commission on the Ancient and Historical Monuments of Scotland website. This building is presumably named after the Martello Towers , defensive coastal towers built in the early nineteenth century, although the closest of these was at Leith. This street is quoted in one source as having been named on 22 October 1945. However the name is no longer used, and it may have been eliminated in the 1960s redevelopment. This street dates from 1963. This street was formed from a long-standing but less direct road. The southern part of it had houses built near to it in the 1930s, and by 1940 had been named, as shown on the 1940 street map. 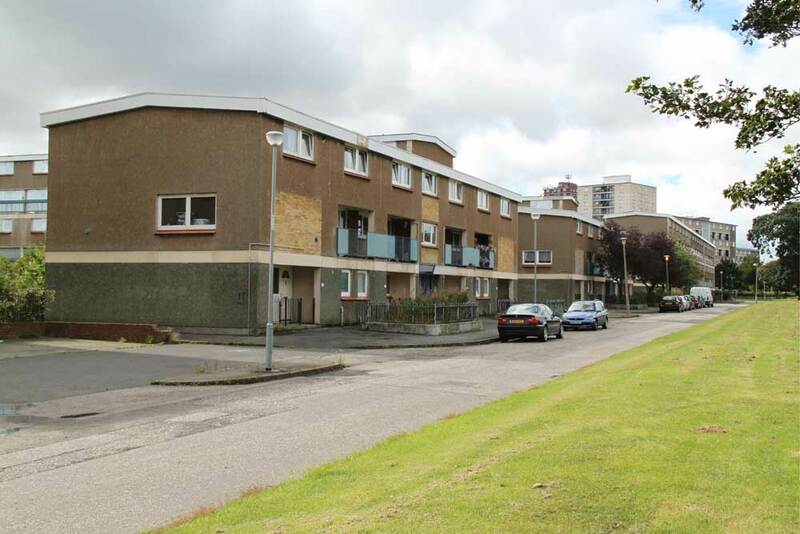 The northern part, connecting this section with West Granton Road / Muirhouse Parkway, was presumably formed around 1945 and appears on the 1952 street map. 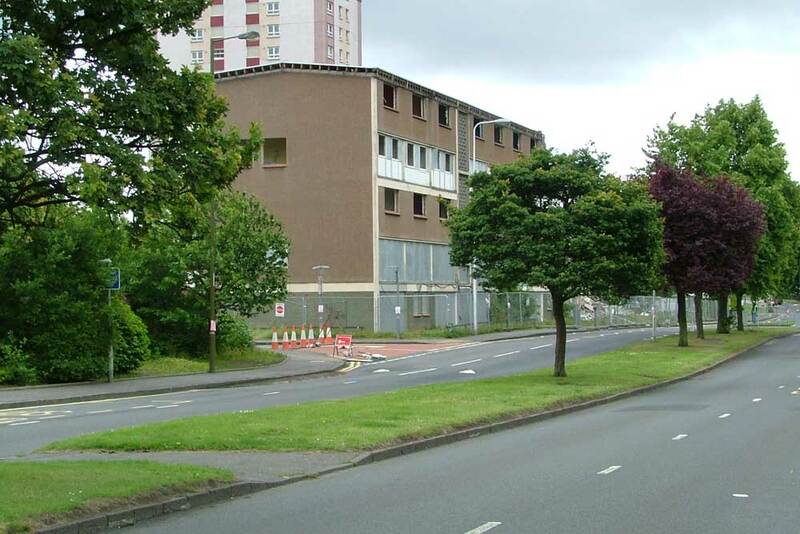 By that date, it was a dual carriageway, as it still is, and the roundabout had been built at the junction with West Granton Road / Muirhouse Parkway / Salvesen Terrace. 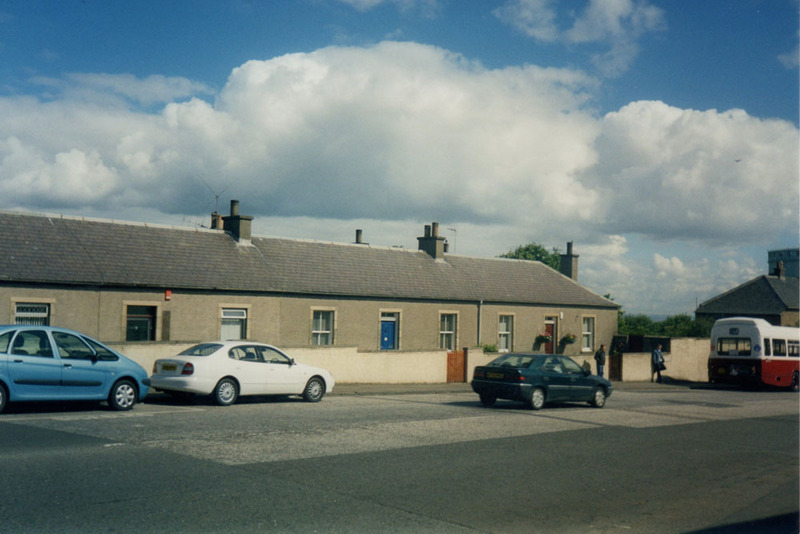 These houses are on the north side of West Granton Road, just along from Pennywell Cottages. They are newer then the cottages however. For full credits see the sources and where to find out more page.